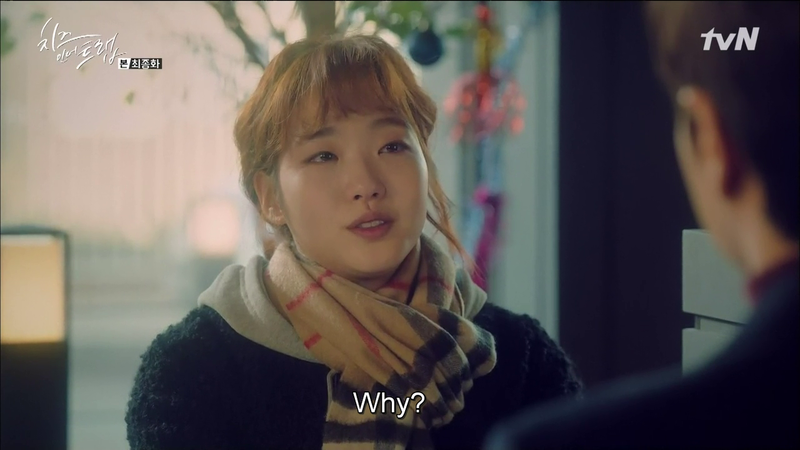 I am watching Cheese in the Trap right? Not a reverse gender version of Oh My Venus or the gazillion dramas that’ve gone before it, using the same damn plotlines over and over. The latter half of today’s episode was so formulaic I could scream at the injustice of it all, given how brilliantly Cheese started. And unfortunately, tomorrow’s episode promises to be more of the ‘same old’. Seol fighting for her life, chaebol parent disapproves of commoner daughter, Seol’s parents will blame Jung, Jung breaks up with Seol ‘for her own good’. And worse, tvN’s promised us a lovely timeskip for the ending. I can’t even. But let’s focus on the good? Because there were some redeeming parts of today’s episode. Inho is thankfully relegated back to his actual role as a supporting character!! And we’ve the other side of the coin with Seo Kangjoon, who’s being pulled deeper into netizen conspiracies about sponsors and the like. I’m keeping an open mind on all fronts but the two prevailing theories are that Seo Kangjoon just got the wrong end of the stick because the PD’s mental, or that he has a sponsor who pressured the PD and production company (mighty powerful sponsor then) to switching Haejin’s scenes for his, and essentially used Park Haejin’s name to get the drama out there, and then cut him off to propel Seo Kangjoon to fame. Whew! Park Haejin’s getting the lion’s share of public sympathy though so the sooner this gets clarified (especially with Seo Kangjoon just having been cast for another drama) the better it is for all parties. Shortest review ever. I don’t even know why I’m not just leaving this as a comment on netizenbuzz instead but maybe it’s because I can’t use screencaps there. Show got better again, though we could still do with a less Inho (though I do love the boy to pieces). Seo Kangjoon is gorgeous, and Cheese seems to want to emphasize that fact, repeatedly. Which I’m totally oay with. The number of screenshots I’ve saved of his face are second to only my collection of Shin Segi. Just look at that perfection! Cheese in the Trap has never made better use of the unreliable narrator that it did in today’s episode. I was so disgusted with Jung by the end of Inho’s flashback that I wondered how on earth I was supposed to watch the rest of the show, unless they decided to pull a lead switcheroo on us. 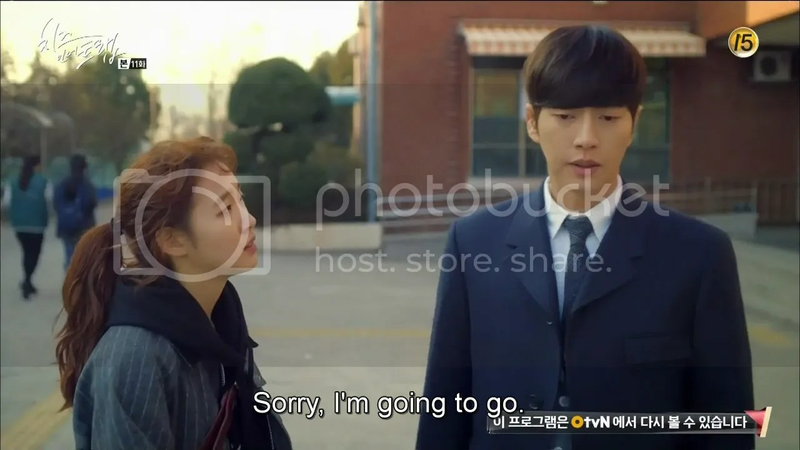 Thankfully, the last ten minutes of the episode saved the show, Jung’s character and his relationship with Seol. Trust Cheese in the Trap to open strong after a two-week hiatus, Young Gon’s downfall was incredibly satisfying as was Seol’s part in it. I winced so hard when Inha sent that picture of her with Jung three weeks ago and it’s testament to the show’s great writing and it doesn’t feel out of the blue for Seol to barrage in and take charge of the situation. Yet, one villain down doesn’t mean that there’s no more conflict left for Cheese to explore. It’s even more about the relationships than ever, and Seol and Yoo Jung keep taking one step forward and two steps back.